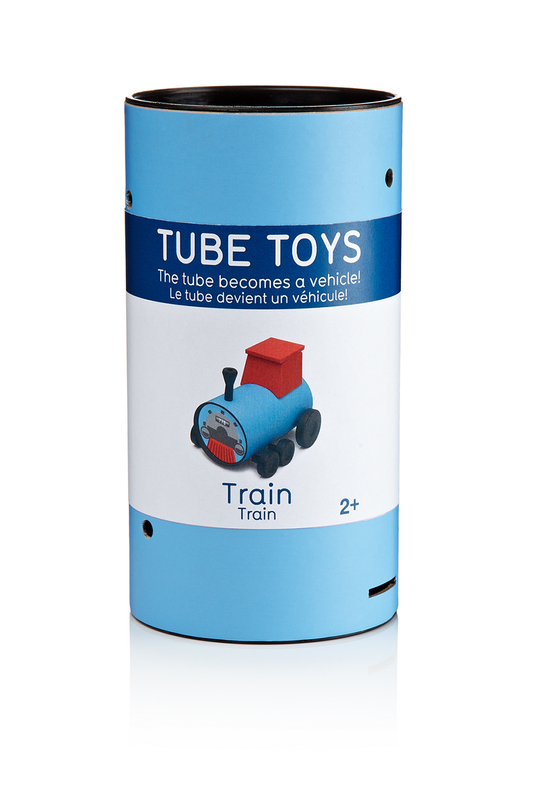 Tube toys | Nudi o Vestiti? 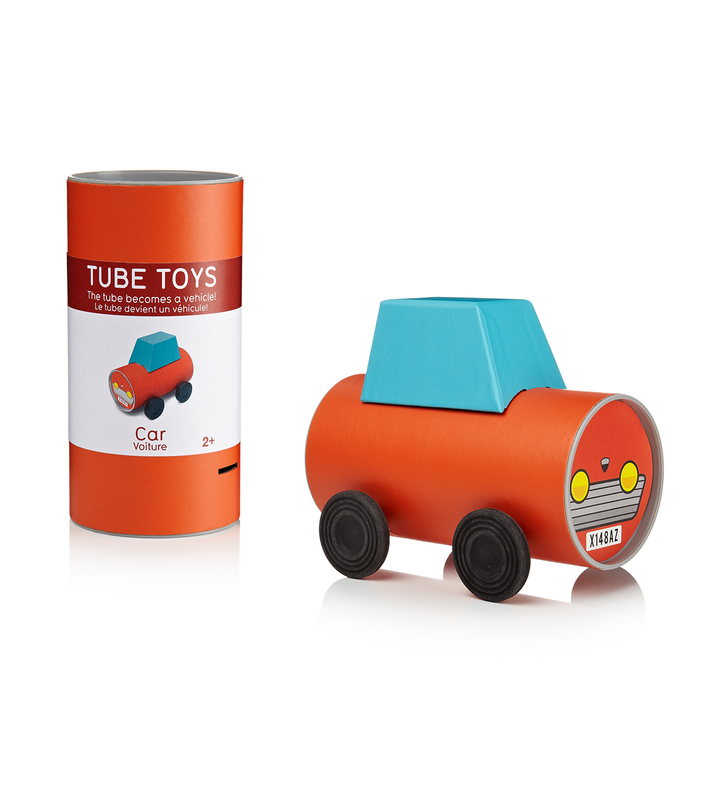 This ingenious kit transforms a sturdy tube into a push-along car toy. 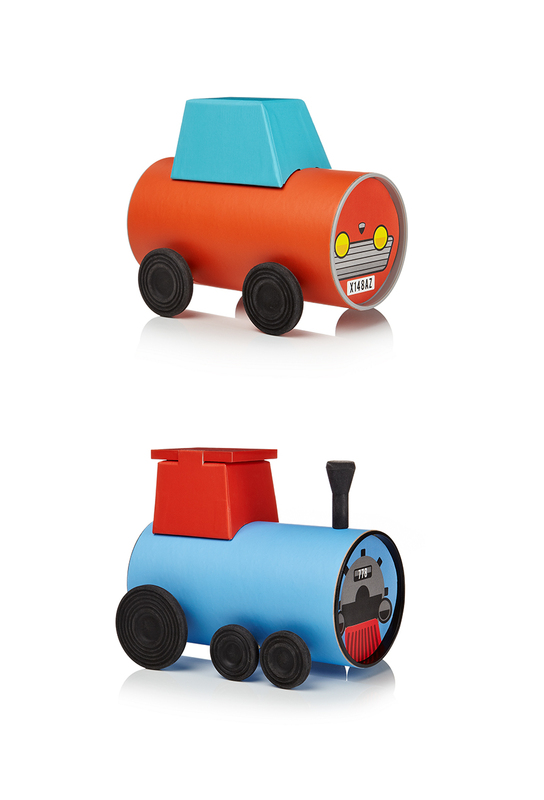 The tube is precision cut with slots and holes to locate axles, wheels, cabs and accessories. 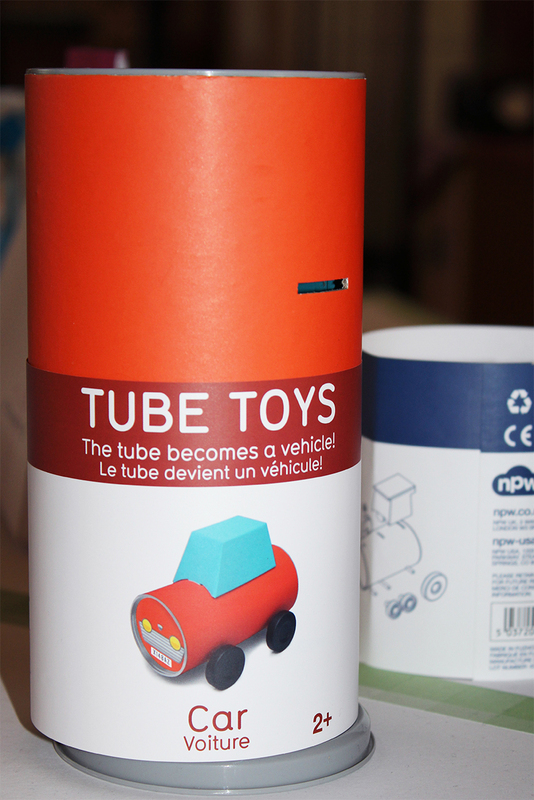 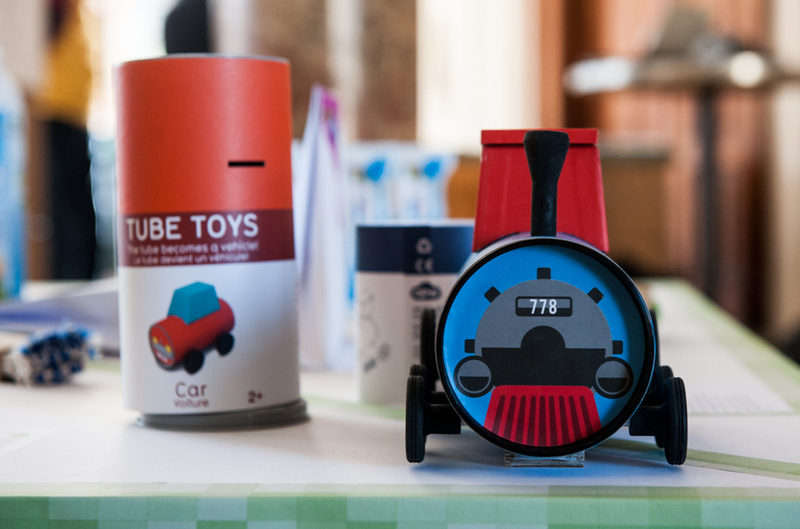 The tube contains all the components plus colour printed stickers to compose the desidered toy.